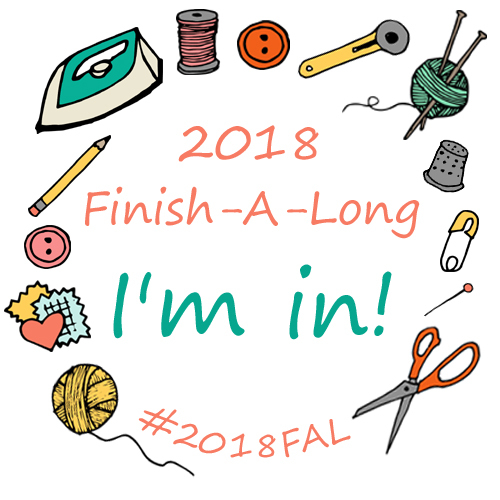 I successfully finished all my Q1 goals for Finish Along 2018, and now it's time to declare my goals for Q2. 1. Banner Year - I tested this pattern for Andrea @ 3rd Story Workshop. 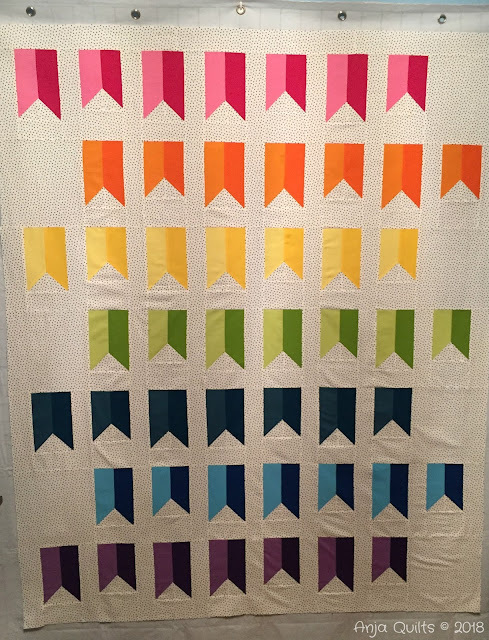 Time to decide on a quilting motif and get this finished. 2. Becca Bags - I've decided to use my New Zealand fabric to make some Becca Bags. 3. Maritime Modern Quilt Guild Executive Challenge - A bunch of traditional blocks were put in a bag. I ended up with Churn Dash. The challenge is to make it modern. It has to be a minimum of 200 inches in circumference. I have a plan all drawn out, and I think I have the fabrics chosen. It was this print that caught my eye -- I think I prefer the darker version. 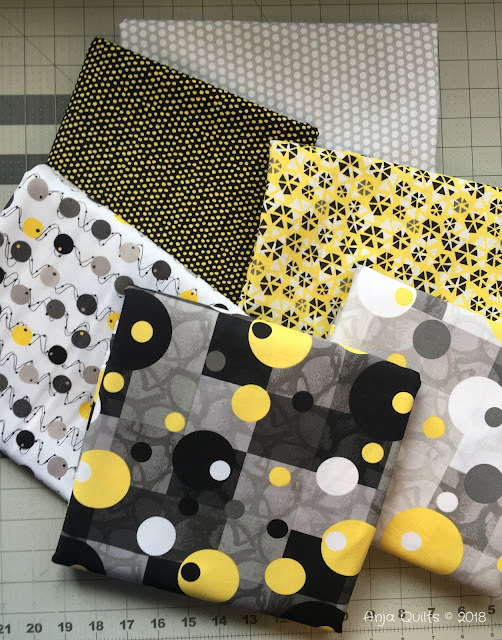 The collection is Urbanista by Belinda for Studio e Fabrics. Linking up with Izzy @ Dizzy Quilts. Oh Boy!!! 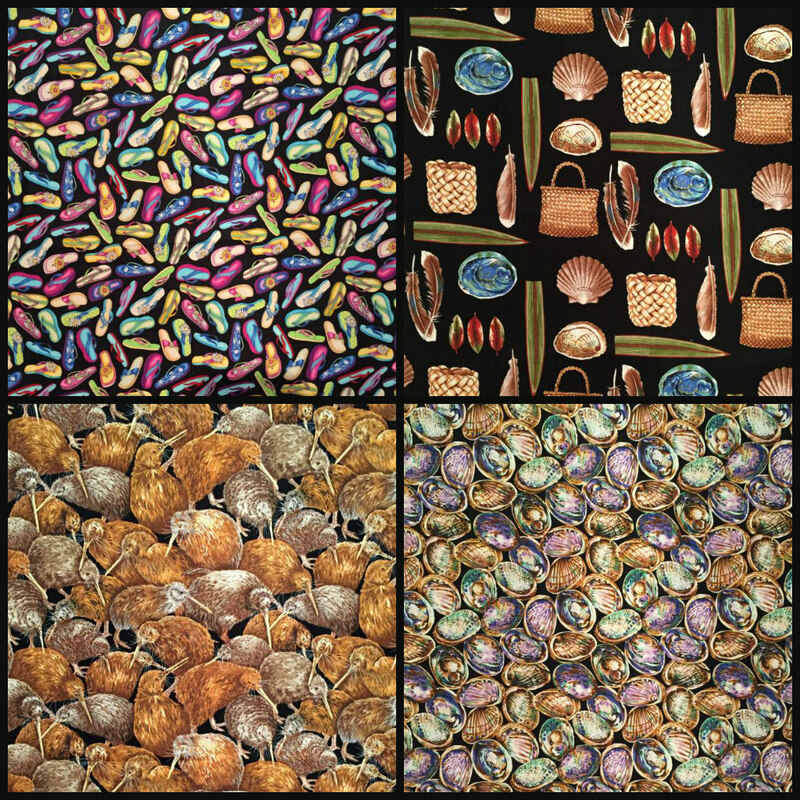 New Zealand fabrics, and you have a friend down here. I know they will be part of a beautiful bag. The one on the bottom right, I used some of that to go into a bag that went to a friend in Colorado, so it is one that is so good at travelling from NZ to up North.!!! Good list! Totally doable right? 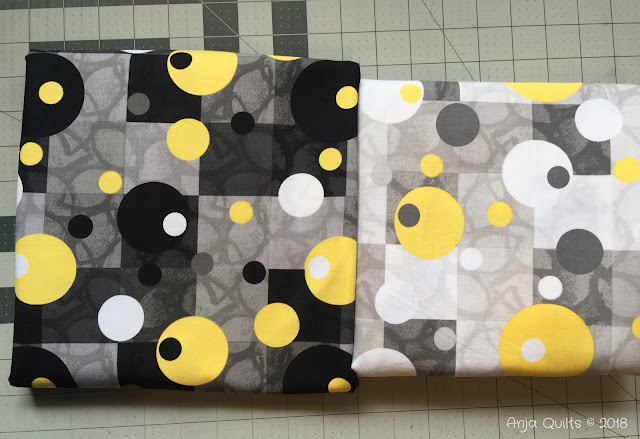 :-) Love the fabric haul - and I think I prefer the dark too! Supporting your LQS is a must, at least that is my excuse. There is a lot you can do with a churn dash block. That project sounds like fun! Great list, and well done on finishing 100% of the previous list. As for the churn dash, it's not my favourite but I do love it on point. Good luck! I love your list...and the full variety of fabrics. Are you making good progress? 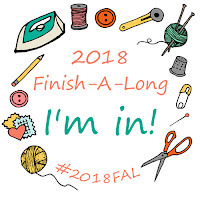 On behalf of the 2018 global FAL hosts, thank you for participating in the FAL.